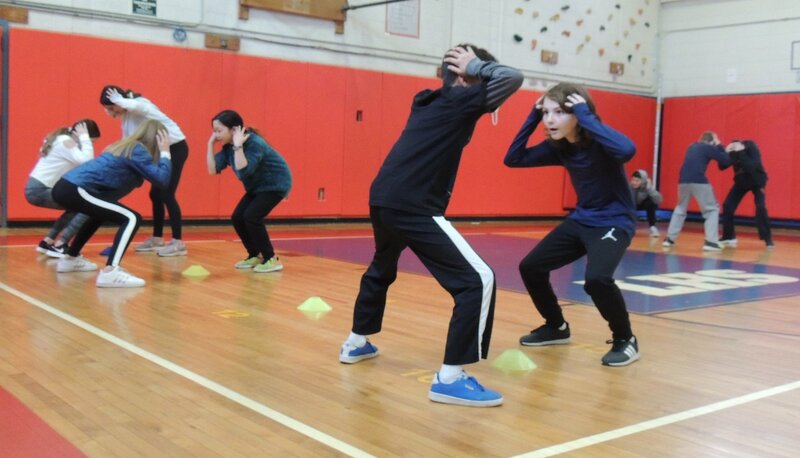 Physical Education teachers, Mr. Toscano and Ms. Incarnato, welcomed a local fitness organization into their classes called Athletic Movement Protocol. It specializes in sport specific speed and strength programs. Located in Syosset, the trainers explained how they optimize physical fitness results with professional athletes, as well as many of our very own Varsity athletes.